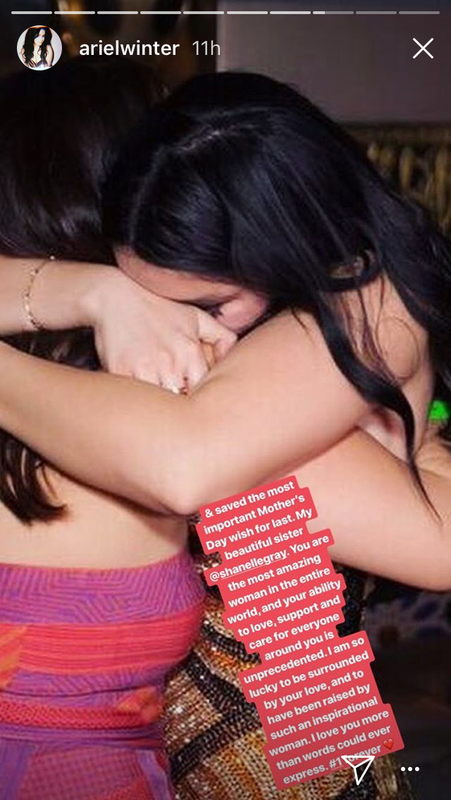 On Mother’s Day 2018, Ariel Winter celebrated the woman she truly credits as a mother-figure, and that person is her sister, Shanelle Gray. Winter hasn’t shied away from discussing her strained relationship with her mother, and her complicated childhood, so on May 14th, 2018, the actress heaped Mother’s Day praise upon her sister, and Winter’s lovely words are melting our cold Monday hearts. Winter first shared photos and tributes on Instagram Story to her grandmothers and her Modern Family on-set teacher Sharon Sacks, who she called “a role model and mother figure for me to this day,” and then turned her praise to her big sis. "Saved the most important Mother's Day wish for last. My beautiful sister [Shanelle Gray]. You are the most amazing woman in the entire world, and your ability to love, support and care for everyone around you is unprecedented. I am so lucky to be surrounded by your love, and to have been raised by such an inspirational woman. I love you more than words could ever express." 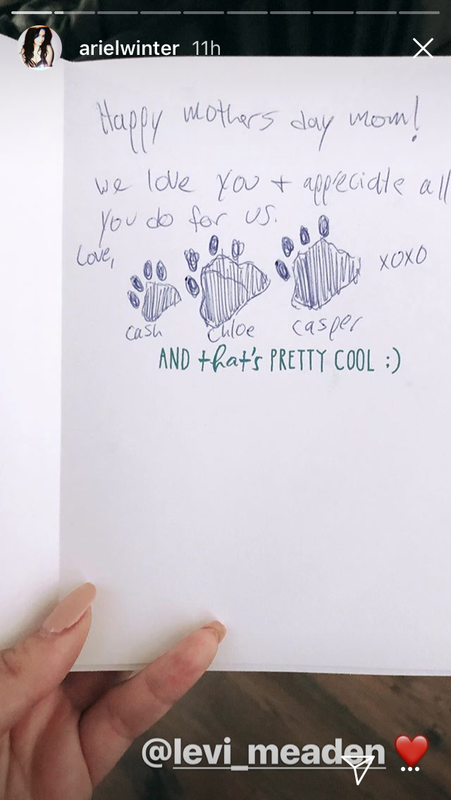 Winter’s Mother’s Day post to her sister last year was just as elegant and emotional, and honestly, Winter should be like, officiating weddings and writing greeting cards, she really has a way of making us feel ~things~. From dog moms to sisters who raise us — Winter’s family is proof there are so many ways to be a mom, to celebrate moms, and to influence someone’s life.